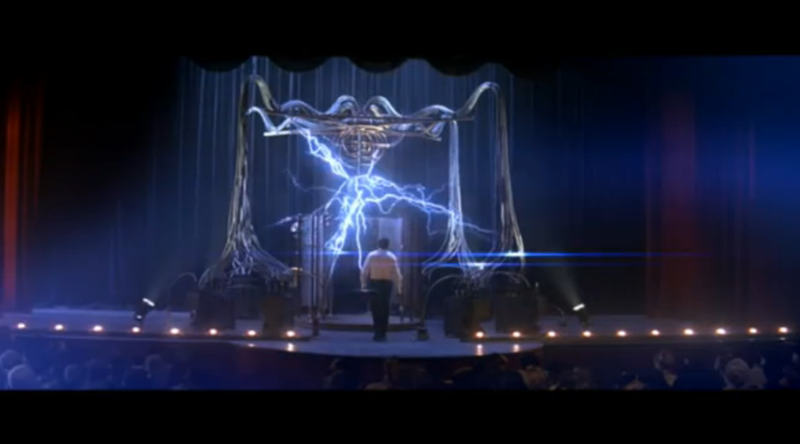 The Prestige is a movie about two rival magicians. It stars Hugh Jackman, Christian Bale, Michael Caine and Scarlett Johansson. It has an estimated budget of $40,000,000 and on it’s opening weekend made $14,801,808. 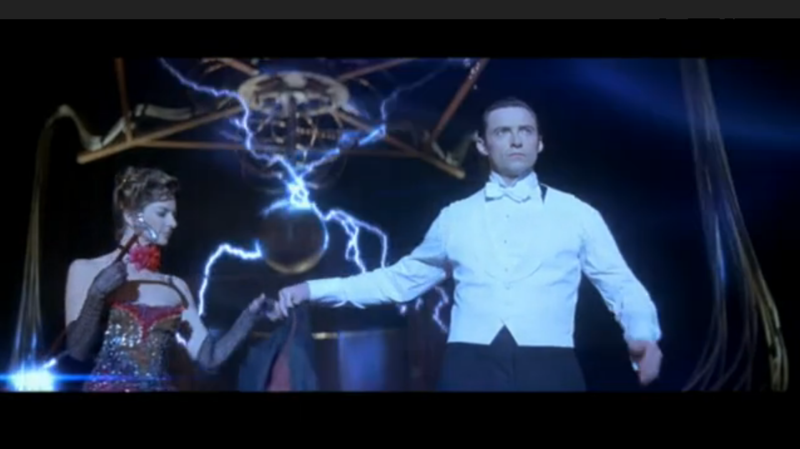 The shot is of top hats which is associated with magic. The background is dimly lit which gives an air of mystery. There are autumn leaves on the ground which suggests a time of year or setting along with the trees in the background. 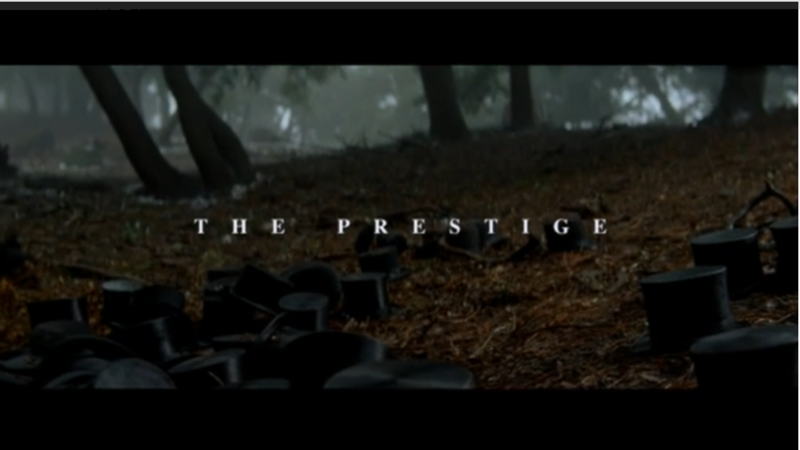 The title ‘the prestige’ appears in white lettering which takes up the whole width of the screen and while the shot moves, the text is stationary. 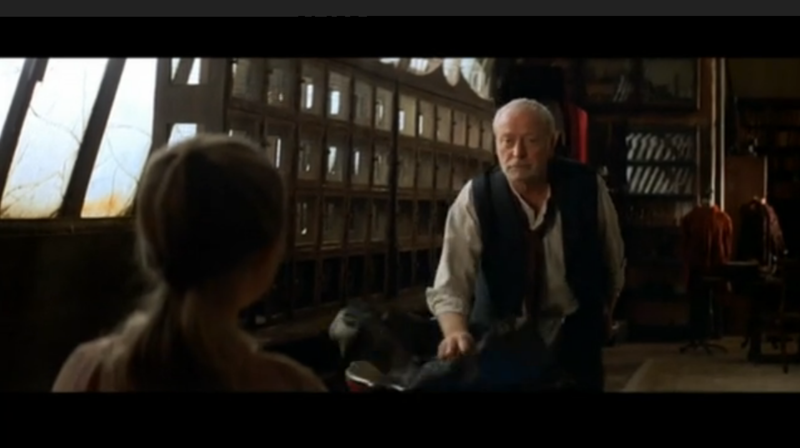 Michael Caine is heard talking about magic and giving information on the title of the movie. From the opening sequence alone we understand the title completely. 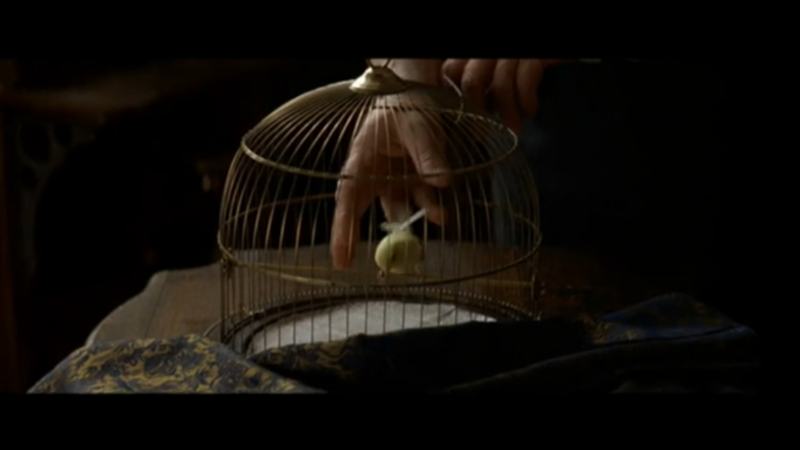 We are shown birds in cages and this imagery is also associated with magic, mainly with doves but also other birds. 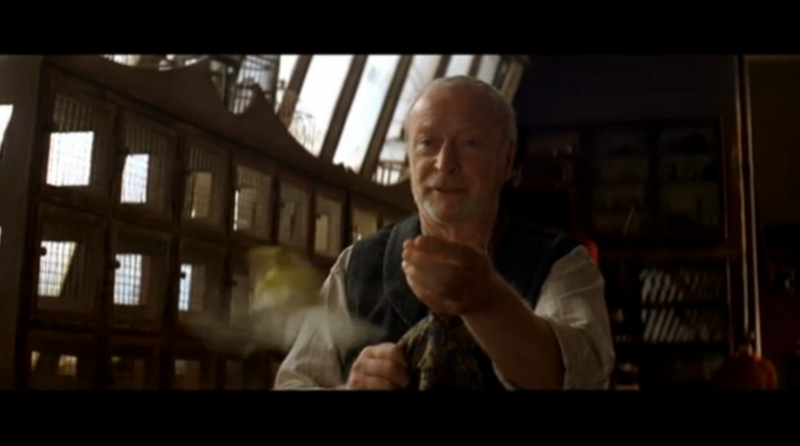 Michael Caine picks up one of birds and uses it in a trick telling us the whole movie will involve magic somehow. There is an audience watching something in a darkly lit area. They seem to be focusing intently on the stage. 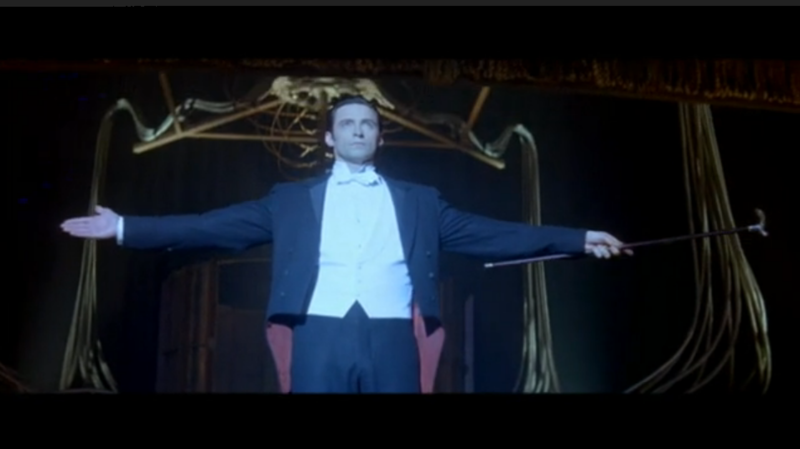 Up on stage is Hugh Jackman who is being lit with a spotlight, he is holding a cane which gives us an idea of setting and time. 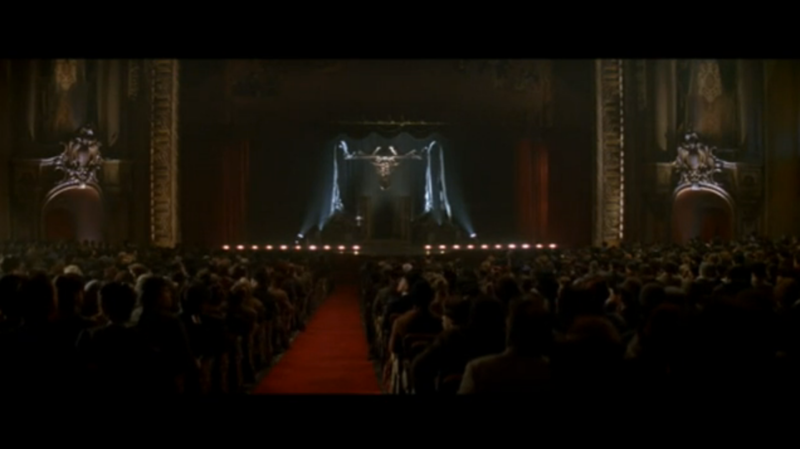 The stage is lit up in a way which makes it luminous and the one spotlight diagonally lights Hugh Jackman. 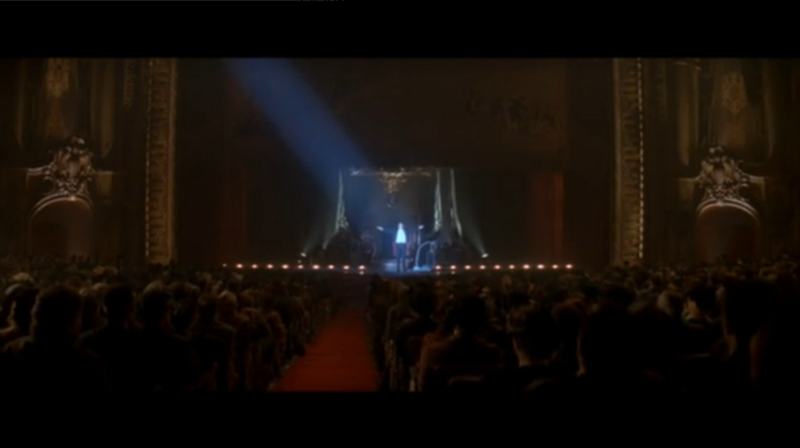 The audience is in the dark as though the attention is drawn away from them. A gloomy shot of backstage shows us there is an air of mystery about the backstage performance. The pose of Christian Bale shows he is exhausted or perhaps worried. 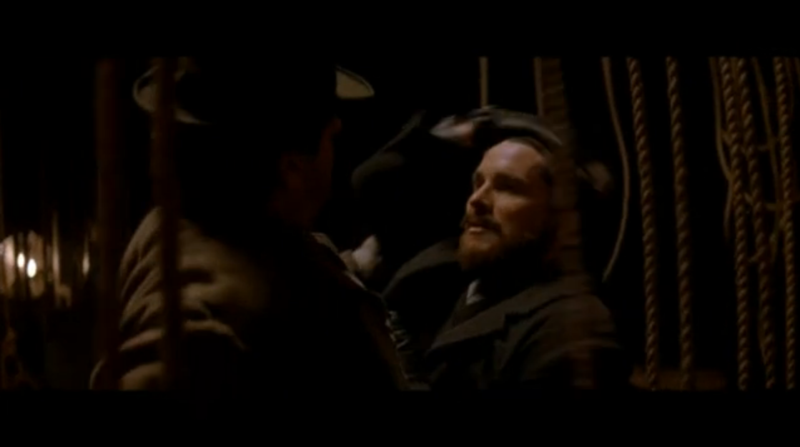 In this scene the two are fighting and it seems very disorderly because of the ropes obscuring our view. He storms off from the fight down the stairs. 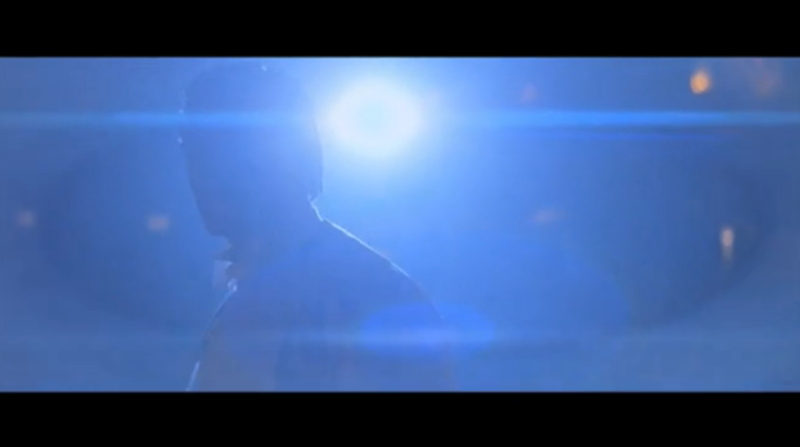 The electricity is very bright compared to the dark room and the eye is drawn to it and the light from the spotlight. 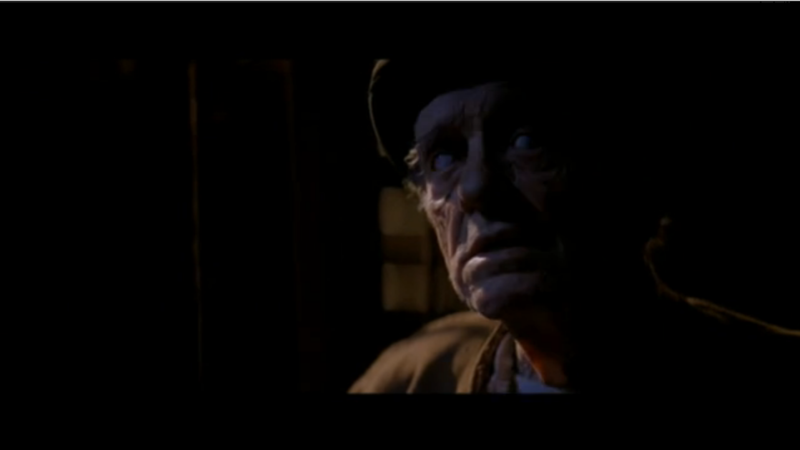 The man from the fight stops at the bottom of the stairs and sees a man who is visibly blind. His eyes are whited out and the electricity makes the mans eyes look blue. The way he emerges from the dark makes him look intimidating. 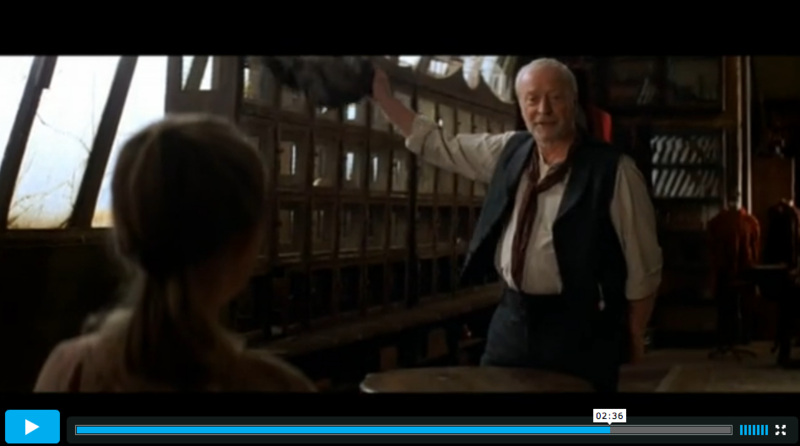 There is another shot of Michael Caine putting the bird back into the cage. The camera focuses on the bird like it would a magician’s trick. This shot is quite disorientating as the light obscures our view of Hugh Jackman. It makes it hard to get an idea of what he is doing. The shot clears the light and he steps towards something. The flashing of the electricity affects the lighting in other shots. The other man from the fight walks in looking for the first man. He passes the blind man and finds some equipment presumably for the trick. The long shot gives more perspective on what is happening than the last. 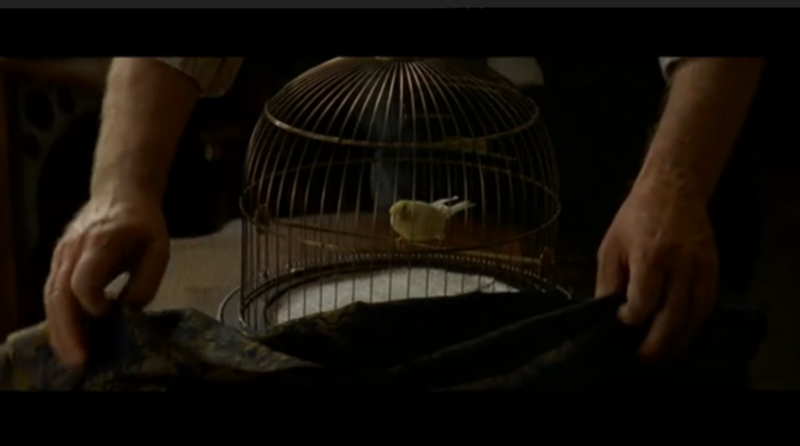 Michael Caine puts a cover over the bird’s cage and this appears to be referencing something to do with the other shot of the men fighting. Perhaps having symbolism for something about to happen. The light is arcing diagonally towards the upper right hand corner of the screen. The blue light is very strange and mysterious. 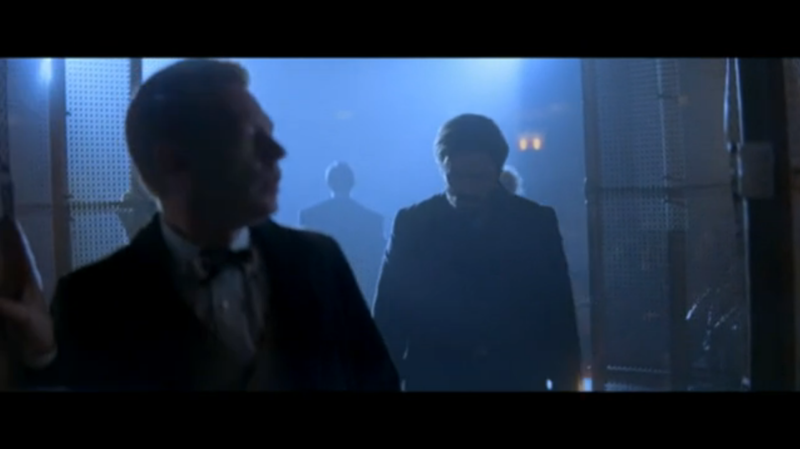 Hugh Jackman is in the center of the frame walking towards the back, all attention is on him. 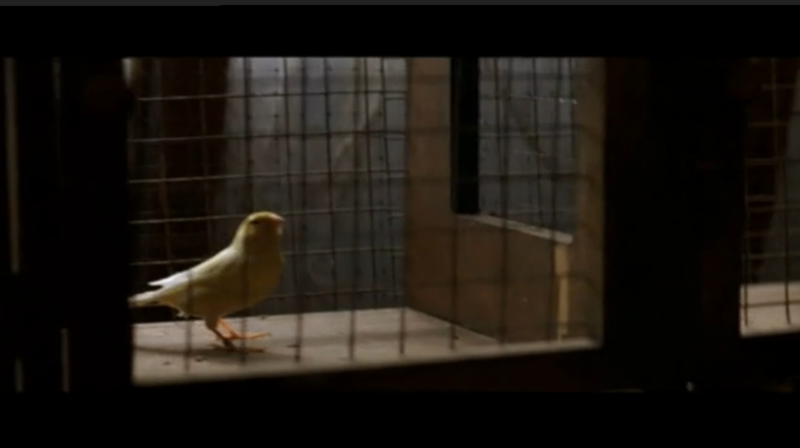 Michael Caine shows the cage has disappeared along with the bird that relates to Hugh Jackman’s scene showing the two are linked. It is an over the shoulder shot from the girls point of view so we experience the spectacle from her side and experience her amazement. 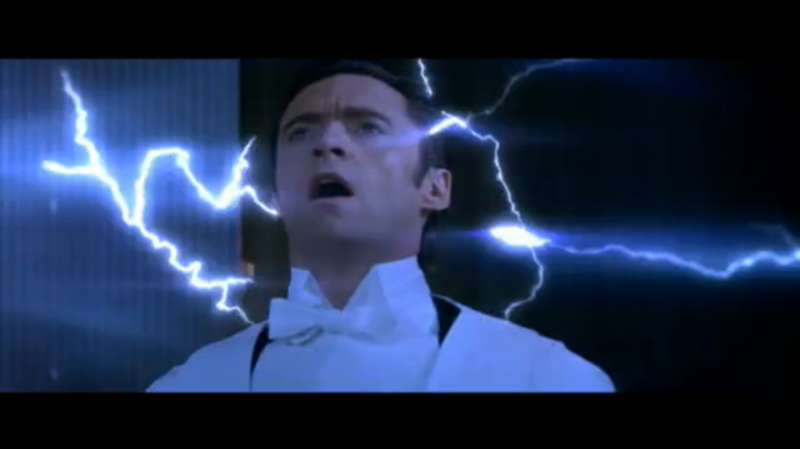 Hugh Jackman has a very afraid expression on his face, it causes the audience to worry. 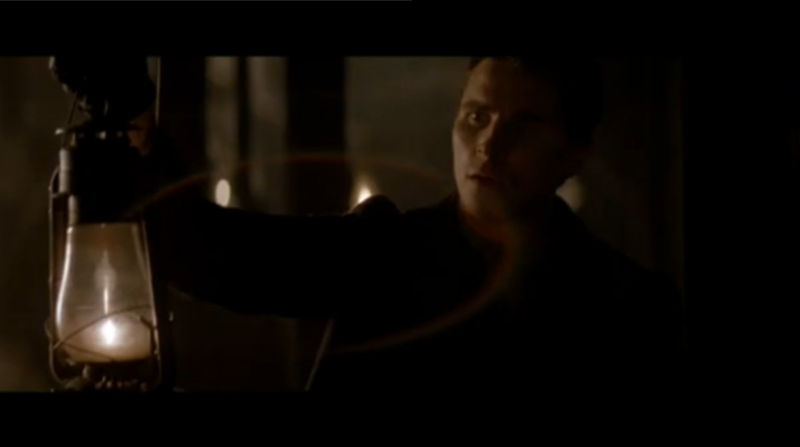 The lightning crackles around his head causing an element of danger. 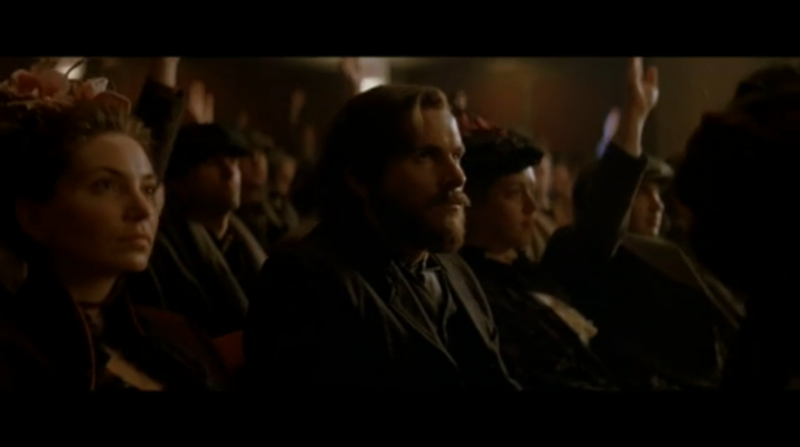 Christian Bale appears and is holding out a light, the light causes light to affect the camera lens creating a nice effect, he seems confused and as he is in the right of the screen he is the weaker character. 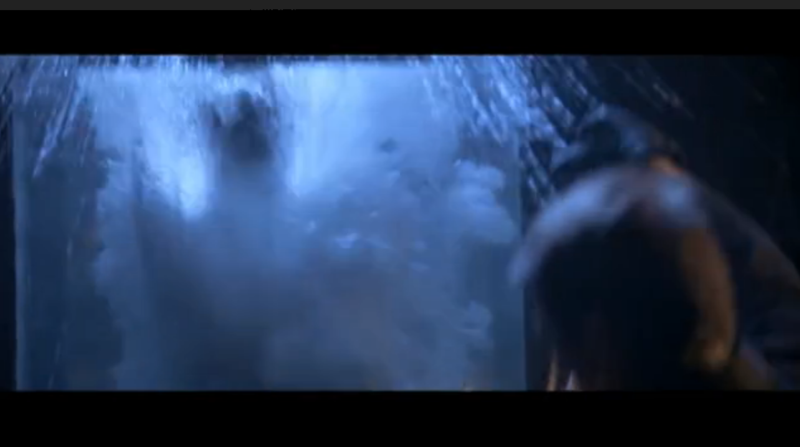 Hugh Jackman falls into the equipment and begins to bash on the glass making us think something has gone wrong. The lack of vision makes us worried, the water clouds our view. Michael Caine holds up his hands in the traditional way of showing a trick, the girls reaction shot makes us amazed too. The audience begins to become loud with confusion and we do not share in this as we have seen the other side of the trick. 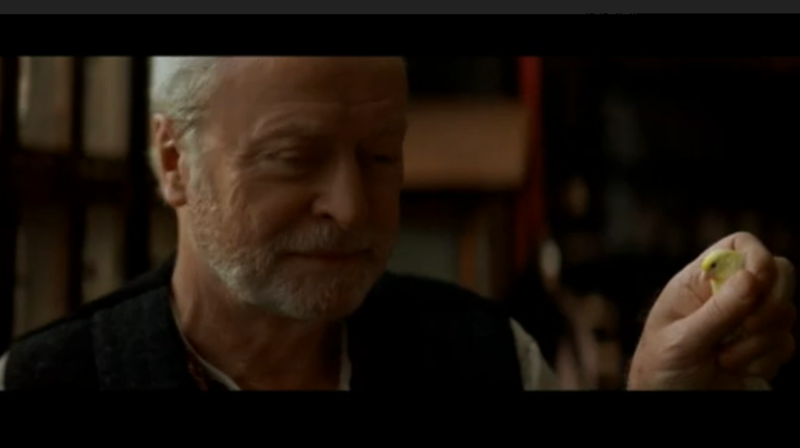 Michael Caine brings the bird back and lets it go leaving the viewer in a flurry of colour and making us amazed.